These gorgeous day trips from Munich will have you swooning… Read on for a list of the best summer day trips from Munich, and how to access them with public transit. It’s hard to beat summertime in Bavaria. I mean, what a place. The lakes are shimmering, the beer gardens are buzzing and of course, the number of attractive people on bikes just skyrockets. But besides the attractiveness of both the setting and its population, one of the best things about Munich (in my opinion) is the abundance of beauty and loveliness that surrounds it. When looking to escape the city, there’s something less than two hours away to satisfy any craving, whether for spectacular nature, fairytale castles or darling city breaks. And so, I’d like to present you today with my favourites. Discover the best of Bavaria with these amazing summer day trips from Munich (with tips on how to reach them with public transport). This post was created in partnership with my friends at GoEuro, as part of my role as their Munich Local Expert! If you want more insider local tips for your Europe trip, be sure to join the Locals Facebook group, and click here to compare prices and duration of trains, buses and flights and book your ticket to get to Munich. PRO TIP FOR SAVING MONEY ON THESE DAY TRIPS FROM MUNICH: If you are travelling with a group, consider buying a Bayern ticket, which is an all-day ticket that gives you public transportation all over Bavaria (and some trains to Salzburg). They can be valid for 1-5 people, with epic savings the more people you add. For more info, you can click here for my full Bayern ticket guide. 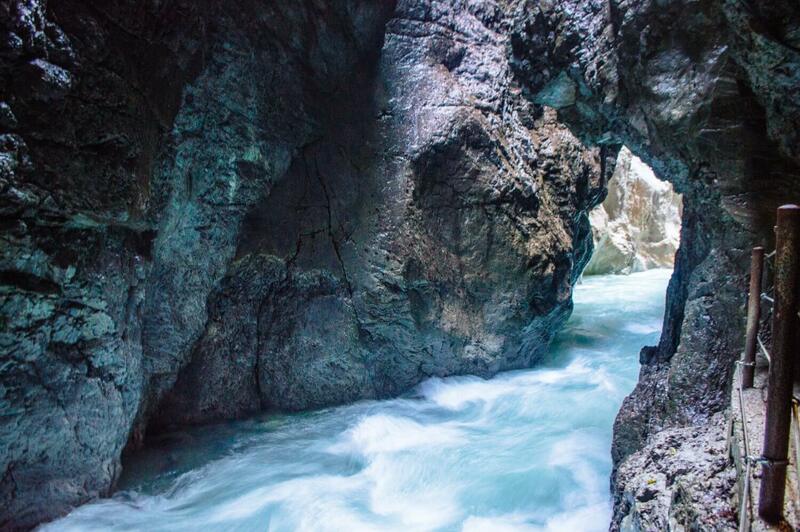 While commonly known as a winter destination thanks to its wonderful ski opportunities, Garmisch-Partenkirchen is an awesome summer day trip from Munich that offers up stunning hikes in the Bavarian Alps and cool, unique sights you won’t find anywhere else in the world. For instance, swing by the impressive Olympic ski jump, a legacy left behind from when Garmisch hosted the 1936 Winter Olympics or make the short trek to Partnachklamm Gorge, a 700m long gorge with tunnels and caves carved directly into the rock, all accompanied by a coursing, electric blue river. How to get to Garmisch-Partenkirchen from Munich: There are train connections to Garmisch-Partenkirchen about once an hour from Munich, and they’ll get you there in about 1.5hours. Click here to compare and book options on GoEuro. 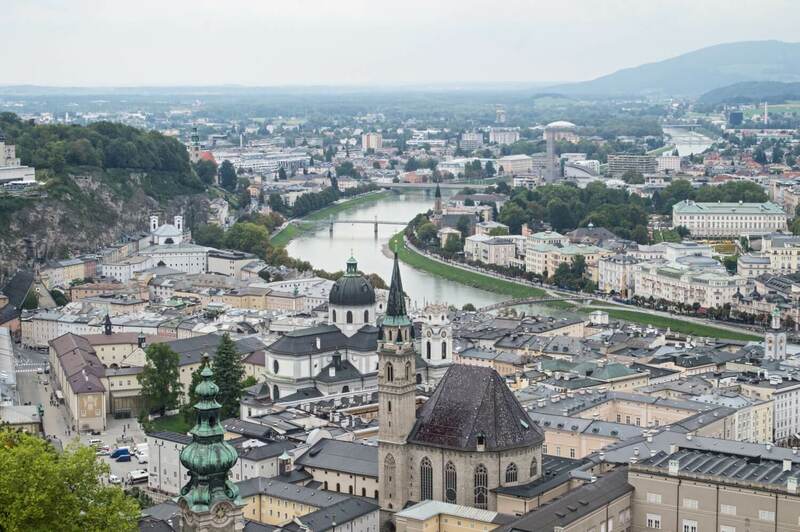 How to get to Salzburg from Munich: There are frequent direct trains from Munich to Salzburg that take about an hour. There are also companies as well like Flixbus that offer coach services, but the train is way easier. Click here to compare and book options on GoEuro. This fairytale castle, said to be the inspiration for Walt Disney’s Sleeping Beauty Castle, is one of the most magical little places on Earth… that is, if you can ignore the many crowds who share your same fairytale dream. Commissioned by Bavaria’s “Mad King” Ludwig II, this dreamy escape nestled in the mountains is one of those postcard-perfect places you need to see to believe. There’s also an equally lovely castle right next door – the mustard yellow Hohenschwangau Castle, which (in my opinion) never gets as much attention as it deserves. How to get there from Munich: Catch a train to Füssen and then follow the hordes of other tourists to either the 73 or 78 bus, getting off at Hohenschwangau. 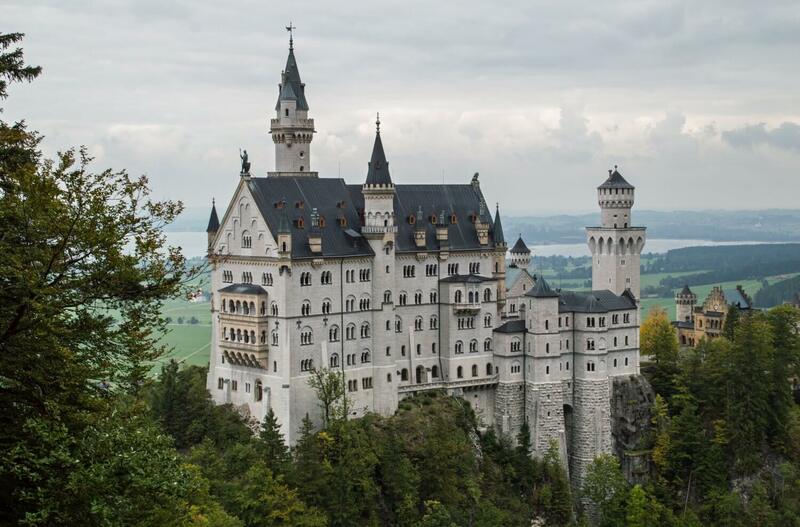 Click here to read my full guide on visiting Neuschwanstein Castle. 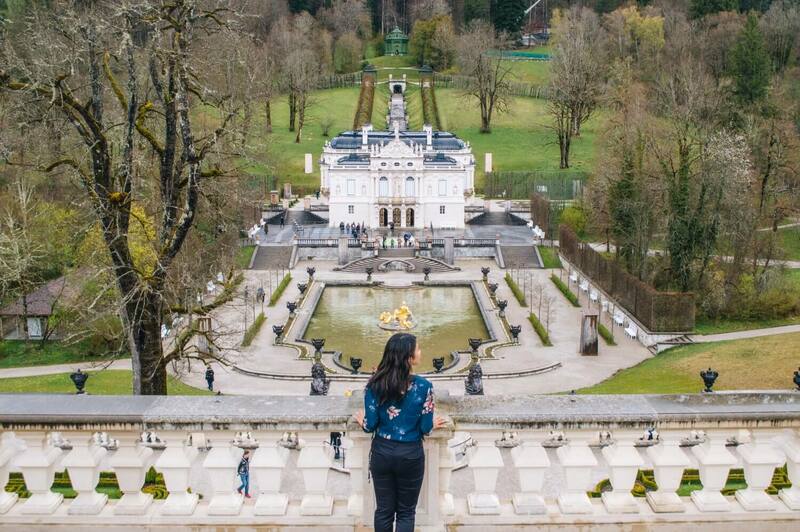 While Neuschwanstein takes the cake as Bavaria’s most famous castle, it was actually Linderhof Palace where famous Mad King Ludwig II lived for much longer, and the only one of his commissioned castles he lived to see completed. Despite its tiny size (by royal standards anyway), this palace is a worthy must-see, modeled after France’s oh la la summer palaces, meaning beautifully symmetrical gardens and opulence for days. How to get there from Munich: Catch a train from Oberammergau and then take Bus 9622 to Schloss Linderhof. Click here to compare and book options on GoEuro. 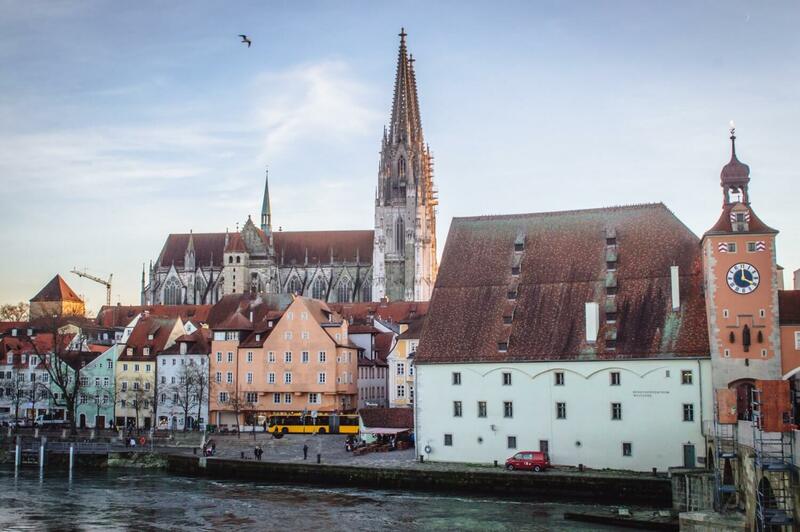 The charming little city of Regensburg doesn’t get nearly as much love as it deserves. Despite being a popular favourite among river cruisers, it’s a city many visitors omit on their visit to Bavaria, which is definitely a mistake you shouldn’t make! With a reputation as Germany’s best preserved medieval city, its colourful streets are packed with historic charm and simply made for aimless wandering. Of course, don’t miss the postcard-perfect view from the city’s Stone Bridge, which dates all the way back to the 12th century. How to get there from Munich: The easiest way is by taking the train, which would be about 1.5 hours. Otherwise, there is also Flixbus which takes around the same time, but you’d be at the mercy of traffic. Click here to compare and book options on GoEuro. 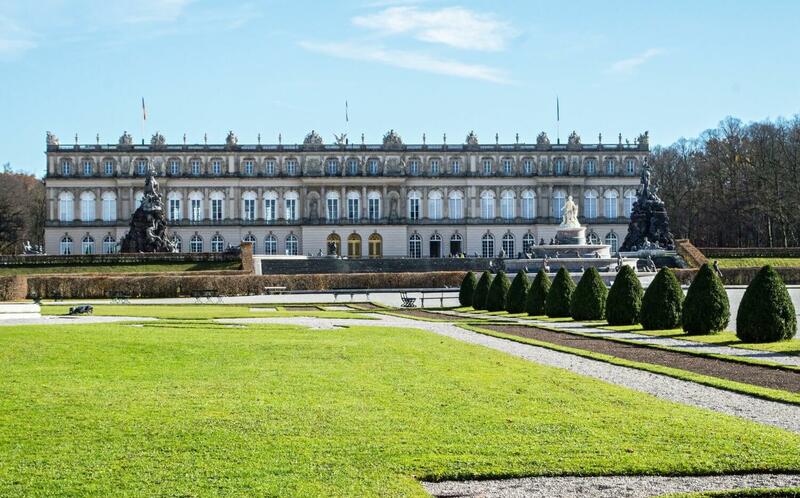 You can find this gorgeous palace on an island in the middle of Chiemsee, one of Bavaria’s most well-known lakes. Modeled after Versailles, this palace was originally built as a “Temple of Fame” dedicated to Louis XIV (the Sun King), who King Ludwig II had a not-so-subtle obsession with. Not only is the palace itself a sight to behold, the journey to get there is lovely and scenic as well, requiring a boat ride from Prien that glides you across the clear waters of Chiemsee. If you’re looking for the perfect summer day trip from Munich, this is it. 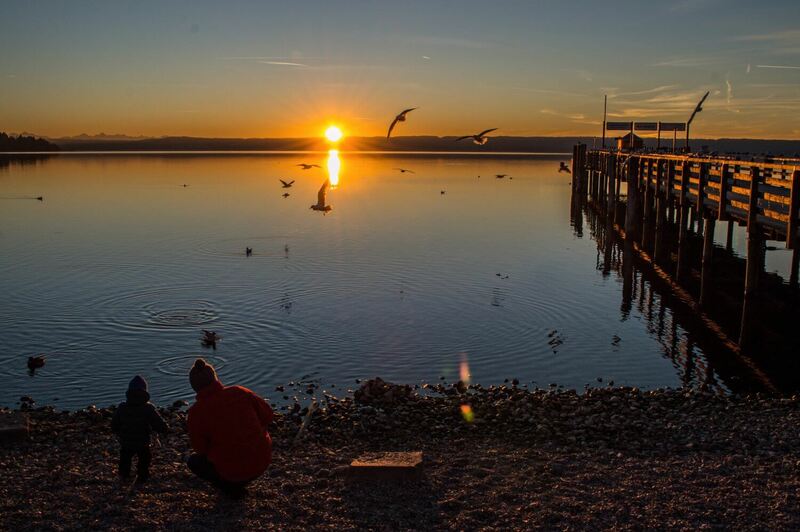 How to get there from Munich: Take the train to Prien am Chiemsee, which lasts about an hour. From this station, you can either catch a special Chiemsee train to the Prien/Stock boat pier (in the summer) or proceed to the pier by foot (about 30 minutes), at which point you can take a boat to Herreninsel Island. You can check out the timetables for the Chiemsee train and boats here. Last but not least, one of my favourite day trips from Munich is the glorious lake of Amersee. This beautiful lake is the third largest in Bavaria and has absolutely killer sunsets. Besides beach time and watersports, it also makes an ideal base for visiting Andechs Monastery, a beautiful Benedictine monastery perched on a nearby hill. You can take a bus up, or proceed by foot, drowning out your tired calves after with the monastery’s special Andechs beer, which many praise as the most delicious in Bavaria. 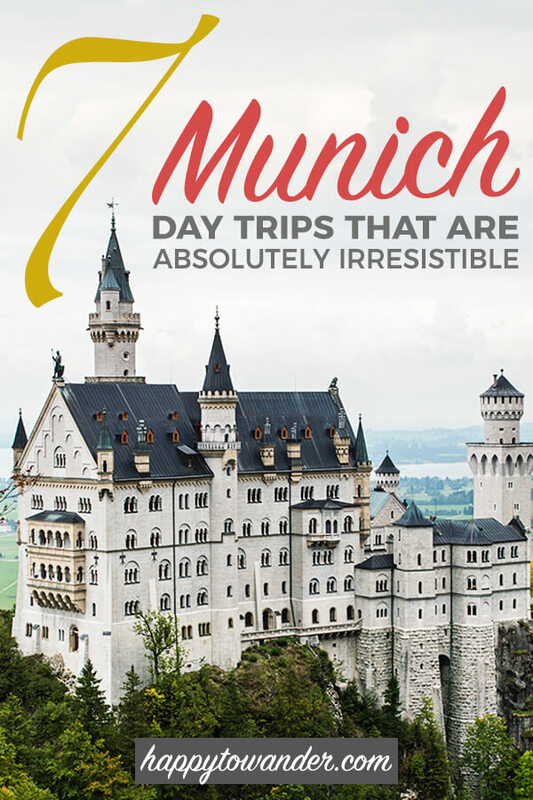 If you liked this list of ideas for day trips from Munich, why not hover on the upper left hand corner of that fancy graphic and save the inspo for later? Germany is a great country. Great post for travel lovers & all these places in Munich are fantastic to visit.